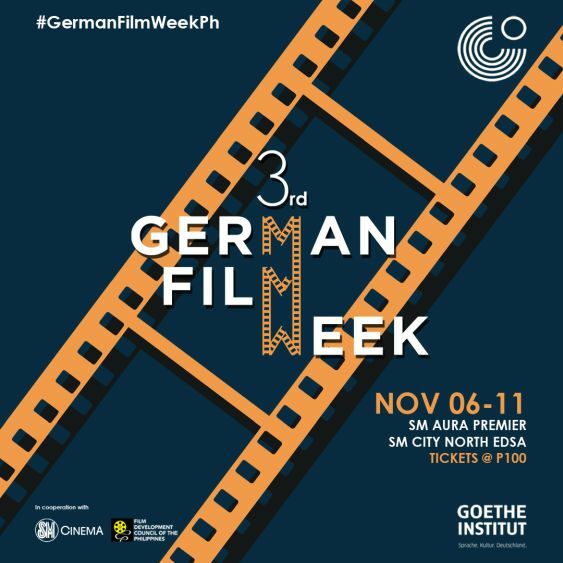 On Wednesday, SM Cinema, together with the Goethe Institut Philippines and Film Development Council of the Philippines, will bring you to the other side of the world as they proudly present the 3rd German Film Week. A former gangster, Ricky (Moritz Bleibtreu) was newly released prisoner before he was offered by his former partner-in-crime Latif, a new job to do. However, their heist job is about to be jeopardized by a shady police officer named Diana (Birgit Minichmayr). Find out whose ulterior motive will win in their intense cat and mouse hunt like game. The film follows the life of Katja (Diane Kruger) as she seeks justice for the death of her husband and son after they became victims of a terrorist bombing. Eventually, the police identified a neo-Nazi couple as the perpetrators. However, after a failed trial, Katja is devastated and soon she will resort to vigilante justice. Witness the inspiring story of Jana (Lena Klenke), a young girl with a heart defect, as she face her once-in-a-lifetime adventure, becoming a jockey to an extraordinary wild stallion together with Paul (Dieter Hallarvorden), a former horseracing star. Even when she feels her limits, she never gives up and doesn’t let go of her dreams. She knows it takes courage to race, but it takes even more to say yes to life again. A comedy film, Forget about Nick features the lives of two very different women, Jade (Ingrid Bolso Berdal) and Maria (Katja Riemann), as they try to face each other over a New York loft given to them by Nick (Haluk Bilginer), their common unfaithful ex-husband. Find out how these two ladies survive each other. Based on a true story, this World War II film focuses on a 19-year-old private Willi Herold (Max Hubacher) as he accidentally discovers an abandoned uniform of a highly decorated Luftwaffe captain and used it to be known as “Captain Herold”. Willi uses his position and power to gather soldiers and complete an imaginary assignment but as his story continues an unexpected dark side of him unfolds. A story of a destined two lovers, 303 centers on the lives of Jan (Anton Spieker) and Jule (Mala Emde) and their accidental meet. Jan, a believer that everyone is naturally selfish, was stranded in Berlin when Jule, a kind and sociable woman, offered him a lift in her camper van as they were both heading to the Atlantic: Jan to Spain and Jule to her boyfriend in Portugal. Witness their love story develops as Jan and Jule share their journey across Western Europe. An award-winning drama, Styx follows the story of Rike (Susanne Wolff), a doctor who celebrates her much awaited break as she sails from Gibraltar to Ascension, a small tropical island in the middle of Atlantic. Unfortunately, she encounters a group of refugees asking for help. Will she stick to her plan and enjoy her much awaited vacation or take a detour of her trip and help these people in need? Eduard Leander (Jurgen Prochnow), a 92-year-old former German officer, go away alone to find a woman that he fell in love during the war. However, his granddaughter Adele (Petra Schmidt-Schaller) followed him and accidentally joined the trip of her grandfather. Now, the quest is on and they are set in an adventure of love, war and destiny. Another war film set in 1943, The Invisibles follows the life of four Jews who are escaping the persecution of their race. Based on the true stories of the actual survivors, witness how these people survive the horrors of World War II in Berlin. Transit is the story of a desperate man who escaped France after the Nazi invasion stole the identity of a dead author. After an unfortunate turn of events in Marseilles, he was stuck and met a woman who is looking for her missing husband – the man that he assumed identity. As a treat for the avid moviegoers, German Film Week tickets are priced only for Php100.00 per film. 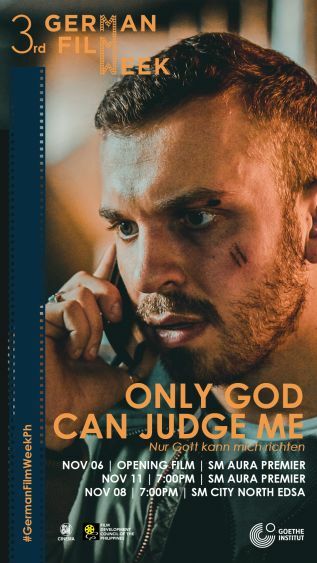 At the opening night on November 6 at SM Aura Cinema 2, featured film Only God Can Judge Me is free and open for all movie-goers on a first-come-first-served basis. Don’t miss out the German Film Week from November 7 to 11 at SM Aura Premier and SM City North EDSA. Book your tickets through the website, www.smcinema.com or download the SM Cinema mobile app. You may also follow /SMCinema on Facebook and @SM_Cinema on Instagram for updates!